This study investigates the impact of climate change on spring and summer maize (Zea mays) yield and evaluates several adaptation measures to overcome the negative impact of climate change on maize production in China. The results showed that the grain-filling duration of maize would be shortened 6–15 days in the future as a result of climate change. Thus, potential maize yield would decrease by 2–32%, and rainfed maize yield would decrease by 0–24% during 2010–2099 relative to 1976–2005. 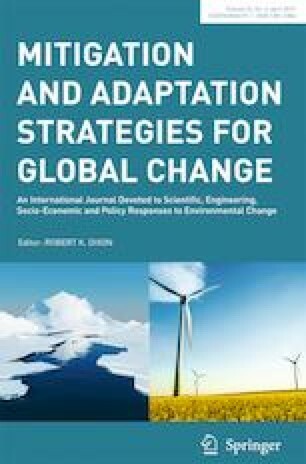 In response to climate change, adaptive measures should be taken to overcome its projected impact. The adoption of new cultivars while maintaining the same pre-flowering and post-flowering duration in the future as in the present would help to improve potential maize yield by 50–61% in three time slices (2030s, 2050s, and 2070s) and would be a better choice for high yields in the future. The cultivars that would maintain the same post-flowering duration in the future as in the present would be a better choice than the cultivars that would maintain the pre-flowing periods for summer maize in China. Adjusting sowing dates would be another important way to extend post-flowering periods and further improve maize yield. If the maize cultivar currently used was adopted, delaying the sowing date would improve the potential maize yield by 2–25%. If future maize cultivars that maintained the growing period even as warmer temperatures accelerate phenological development were adopted, delaying the sowing date would improve the potential maize yield by 0–8.9%. The interactive effect of sowing and cultivars was quantified. Based on the findings of this study, future maize cultivars maintaining the growing period were adopted, and delaying the sowing date could still improve potential maize yield worldwide. Two regional adaptation strategies to climate change could offset the potential reduction of maize production worldwide, which would provide farmers and policy-makers with explicit guidance. This research was supported by the National Natural Science Foundation of China (31701322).